The general precursors for the development of Stockholm Syndrome then, are reasonably well satisfied in the case of citizens of modern states. … discussion of policy issues rarely address the justification for using force to impose various policies. Due to the Stockholm dynamic, power has a self-legitimizing tendency: once it becomes sufficiently entrenched, power is perceived as authority. Once a pattern of obedience has started, the need to minimize cognitive dissonance favors continued obedience and the adoption of beliefs that rationalize the authority’s commands and one’s own obedience to them. 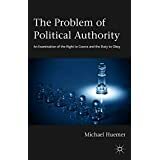 Professor Michael Huemer has written a surgical disassembly of our rationale for political obedience.